AS a young woman in her 20s, Edel Dooley had surgery in the US for the removal of abnormal cells in her cervix, discovered in a routine medical check-up. The mother of three children, aged 11, nine and eight, from Swords, has felt relatively reassured that all has been well ever since - until news of the CervicalCheck scandal exposed by Vicky Phelan brought fresh fears to the surface. She got in touch with the national screening programme by email to seek reassurance - but apart from automated replies she had to wait 12 days until she heard back from a nurse. 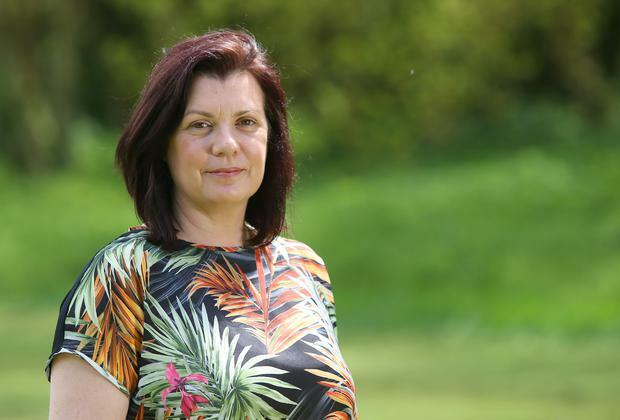 "My family can't afford for me to be ill and if they lost me it would have a devastating effect," she said, explaining that her nine-year-old son has autism and a moderate intellectual disability, and he is non-verbal. Edel (45) and her family lived in Canada for a number of years after her husband's job took them there and during this time she availed of regular smear tests. "The difference there is that if you have a concern, you're referred to a gynaecologist and they'll do a test for you," said Edel. "The health care system there is excellent. They still have their waiting lists but you're looked after there." The family returned home in July 2015 and she had a smear last August that came back clear. "It was quite reassuring, but after the scandal broke and we heard about how many women had false negatives as a result of the audit, I was worried," she said. Having contacted CervicalCheck by email, she received an automated response four days later to say they would be in touch. When she heard nothing further, she got back in contact again - only to receive another automated response. Finally, after her fourth communication with CervicalCheck on Thursday, some 12 days after her first email, Edel heard back from a nurse, who reassured her that she could be retested. "The nurse I spoke to apologised for the delay but I don't blame her or anyone in the call centre who is tasked with handling this situation because they didn't cause it - they are on the front line, trying their best to manage the mess that was created by senior civil servants," said Edel. She asked if she could have the sample tested in Ireland and was told that she just needed to inform her doctor. Edel was reassured, but as the parent of a child with special needs, she said that she has had to fight for everything - and has little energy left to fight for her own health. "Our son requires two-to-one care," she said, explaining that two carers come in for two hours every day. "During the summer, he has no camp to go to, no school or day activities to occupy him and I have him and two other children to care for so I need to be totally healthy," she said. "I've had to struggle because everything to do with our son is a fight. This is a fight and a worry I don't need." She said that women in this country have suffered enough and that women's health has been neglected. "The government awarded a contract to the lowest bidder," she said of the CervicalCheck screening programme and the outsourcing it came from. "That's something you do if you're getting your house painted or your garden done. "It's not appropriate care for the women of Ireland and it reflects how we've been treated by the State over the last few decades. "It's important to make our government realise that enough is enough. The HSE is pretending to offer this vital healthcare service but in reality they can't offer that if they focus only on cost-cutting." Edel believes that the testing of the smear samples should have been remained in this country and the service expanded, rather than the Government taking the decision to outsource the testing to the US. "Investment in analytical services here in Ireland would have created employment and allowed for more transparency and accountability," she added.